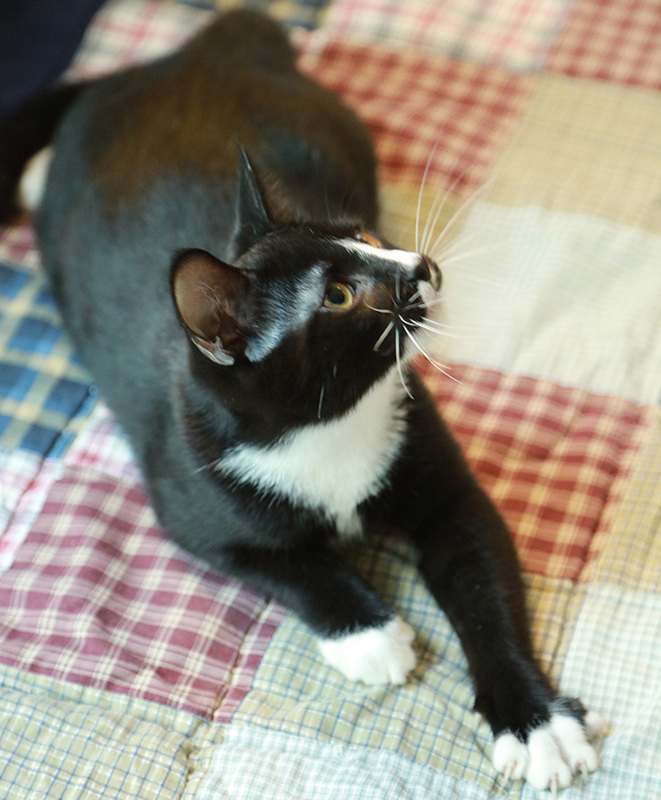 You are here: Home / Adopted Cats / Benjamin Sisko – Adopted! I’m the most vocal of my litter, much like my name-sake from Star Trek: Deep Space Nine, I’m not afraid to speak my mind. If I want your attention, which I usually do, I won’t hesitate to tell you. My momma, Tribble, was an outdoor cat, but she was rescued shortly before having me and my siblings, so we all got to grow up inside in a safe warm place. I’m a bit of a wild child, I really like to investigate things, and I love to climb and play. I’m very good at jumping for toys, it’s one of my favorite things to do, my head will go all over the place and before long I’m jumping around like I’m made out of rubber and springs. 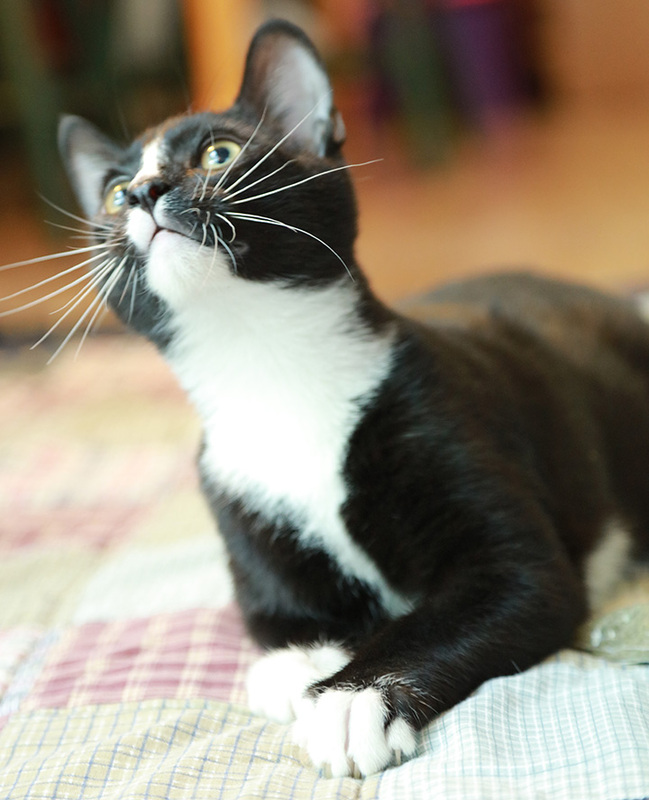 By the way, catnip is this amazing thing that makes me super silly, do you have any? Sometimes I jump on the furniture, but I get down if you tell me to. 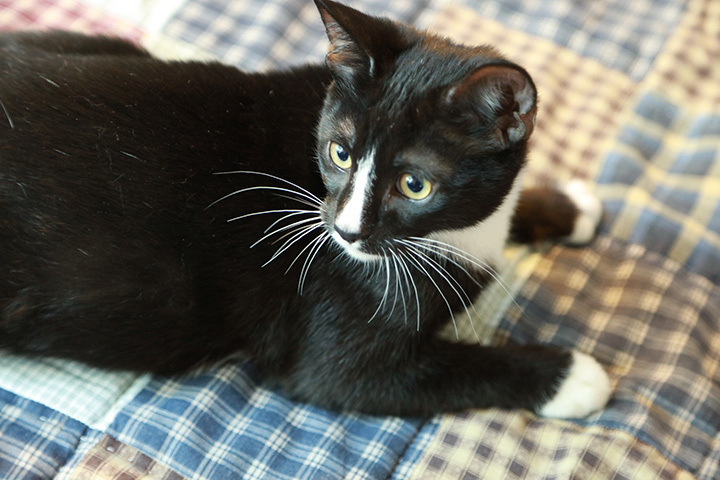 I grew up with my siblings – Kira Nerys and Chief O’Brien – and other foster cats, and am endlessly curious; I would likely do well with other cats. I’ve never met a dog, so I’m not sure how I feel about them yet. I am very playful, but I also really love affection, head rubs are the best. 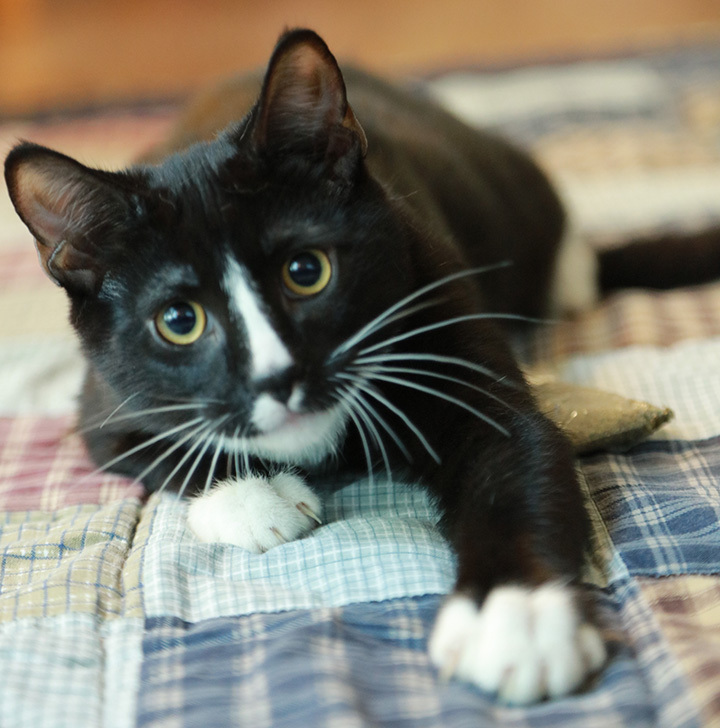 I love to purr and be petted, you can pick me up and I’ll just relax in your arms; I’m also fully litter box trained. I just want a nice home with lots of food and toys, it doesn’t take much to make me happy. 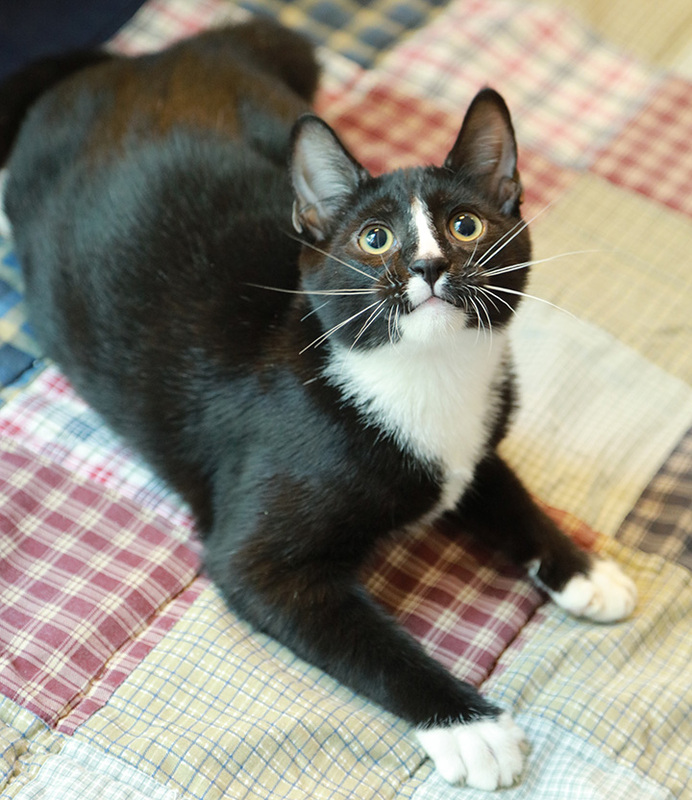 Benjamin Sisko was adopted December 1, 2018!